Fast cash loans can be lifesavers if there is a financial emergency, or if you find yourself over budgeted somewhere during the month. Although fast cash loans do have a reputation for having very high interest rates the borrower will know exactly how much they have to pay back on the amount they have borrowed. Fast cash loans are sometimes known as payday loans, with the basic idea that you pay back the loan on your next payday. However, many lenders call their loans by different names and although the principle is the same you can specify a date when you wish to pay back fast cash loans. Fast cash loans can also be secured or unsecured meaning that they will be processed quicker, usually on the same day, if some form of security is given. 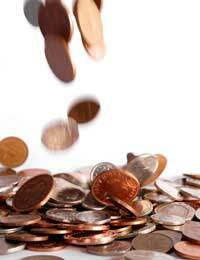 Fast cash loans will vary from lender to lender but the amounts can range from £50 to £1000. In most cases the lenders will charge £25 for every £100 borrowed but this can vary if security is given and how long the loan is needed for. If all the personal details, bank statements and salary pay slips are accepted then loans can be given on the same day or within the next 24 hours after application. Some lenders will accept faxed or emailed documents as proof of identification. Fast Cash Loans and Credit ChecksIn most cases fast cash loans are not subject to credit checks and previous credit history will not be relevant. This type of loan is not suitable for long term lending as the interest rate would work out too high. Due to the no credit checks policy, fast cash loans can be life savers for people with poor credit history who find it difficult to obtain credit elsewhere. How Are Loan Payments Collected? Most lenders will collect payments from the borrower's bank account on the next payday or on an agreed date. However, not everyone has a bank account and lenders will arrange to call at a borrower's home to collect repayments, or the borrower can call into the lender's office. Although fast cash loans can be lifesavers in certain situations there is always the chance that this type of borrowing can become continuous. It is a fact that fast cash loans are aimed at the people who can least afford it, and many borrowers become repeat customers of the same company. In many cases the small amount customers can borrow will only alleviate the long term debt problem and is not a long term solution. For some people debt is cycle that is hard to break and fast cash loans simply add to this ongoing cycle. Fast cash loan lenders are in the business of making money and they do survive by lending to repeat customers. Borrowers should think long term regarding their financial situation, and if debts are a serious problem then help should be sought from credit counselling services rather than fast cash loan offers. Although you can see exactly how much you will be paying back with fast cash loans, always remember that there will be fees and charges if payments are late. Many lenders will extend repayment lengths but they will add on high charges and interest to the total. If you are considering using a fast cash loan service always repay the amount in full and on time. Fast cash loans can be lifesavers if they are used appropriately and not repeated many times over the course of a year. Interest is high on fast cash loans compared to more traditional forms of lending. Fast cash loans should be used as a one off in an emergency situation if they are to be used at all.